Did you know that 47% of marketers use user-generated content as part of their content marketing strategies? UGC can help you get a lot of exposure and engagement. It can also help you build strong relationships with your followers. For brands, UGC is a source of unique and fresh content to enhance their search engine rankings. It also increases the credibility of your brand and boosts sales and revenue. Millennials say that UGC is 35% more memorable when compared to other forms of media. 85% of the customers agree that user-generated content can influence them more when compared to brand-created content. According to the Stackla Consumer Content Report, UGC is considered to be 3X more authentic than brand-created content. 90% of US customers agree that UGC creates more impact on their purchasing decisions. According to the same study, 87% of search engine results count UGC as the second most influential factor for a purchase decision. Now that you know the significance of UGC, let’s see how you can use it to enhance your SEO strategy. This post discusses four easy yet effective ways to use UGC to enhance your SEO strategy. When you are out of content ideas, user-generated content can be a great way to create new and relevant content. Social media platforms are the primary breeding ground for user-generated content. You can organize a contest to on social media to generate new content ideas. You can encourage your followers on social media to create and post content about your brand. This is a win-win situation for you and for your followers. They get the opportunity to engage with you and possibly win a prize. And that engagement can increase your website traffic which can enhance your search engine rankings. There are many ways you can organize a contest. Just make sure to plan your contest well and to state the rules for entry clearly. That will help decrease the chances that you’ll receive irrelevant content. You can encourage your users to come up with some ideas to promote your product. 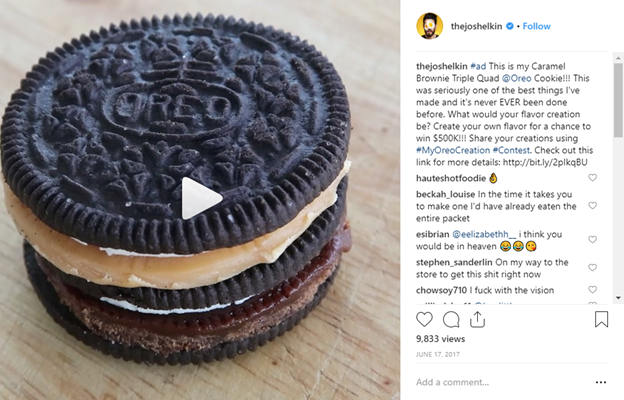 Oreo implemented exactly the same tactic and called the campaign “My Oreo Creation.” They asked their users to choose their favorite Oreo flavor, and create content for it for a chance to win $500K. You can also ask your followers to share the end results generated by using your product. It’s one of the best ways to promote your brand. 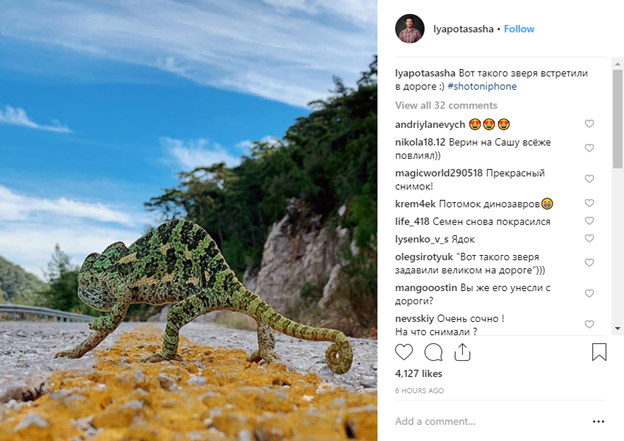 For example, Apple started a campaign on Instagram called “Shot on iPhone.” This motivated Apple users to share their photos on Instagram and talk about the amazing camera on their phones. UGC can also enhance your SEO strategies through social media optimization. You need to establish and build a community on social platforms like Facebook, Twitter, and Instagram. 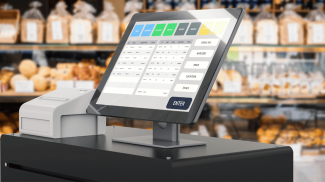 Be active in the community and respond to the comments, reactions, or questions of your customers as soon as possible. Such engagement, in turn, can increase your website traffic and improve your search rankings. 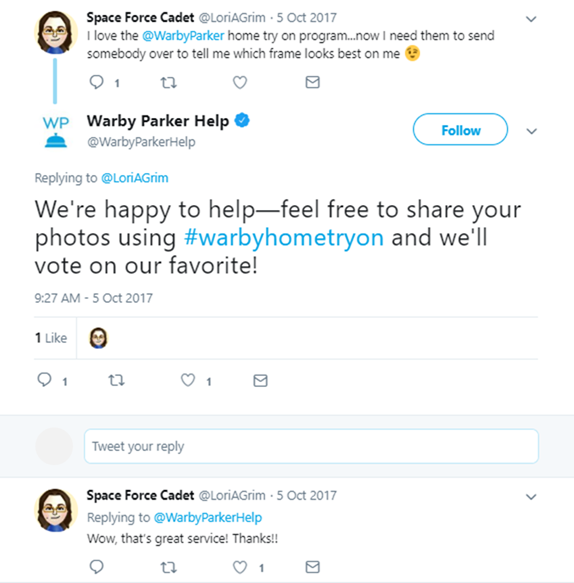 In the screenshot below, you can see how Warby Parker, an online retailer of spectacles, uses Twitter to resolve a customer question. This will help you generate more engagement and build strong relationships with your customers. And it can also generate more organic traffic from your potential customers to your website. 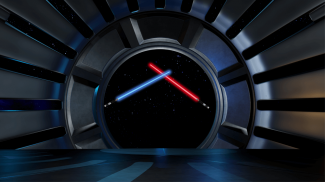 This will have a positive impact on your SEO strategy. A potential customer depends on the content of your website to decide if they want to buy your product or not. If it’s only you talking about your products, it might make your potential customers skeptical. They may not want to invest their money in your products without seeing any social proof. The workaround is to invite your happy and satisfied customers to share their stories of using your products. This will help you win the trust of and motivate your potential customers to buy your products. You can improve your search engine rankings using your customer testimonials. Because most testimonials and reviews will be about your products or services, your customers might include certain phrases or words related to your products that can naturally boost your SEO. Also, you need to create a strong and engaging design for your testimonials page. This will help you generate quality traffic to your website. 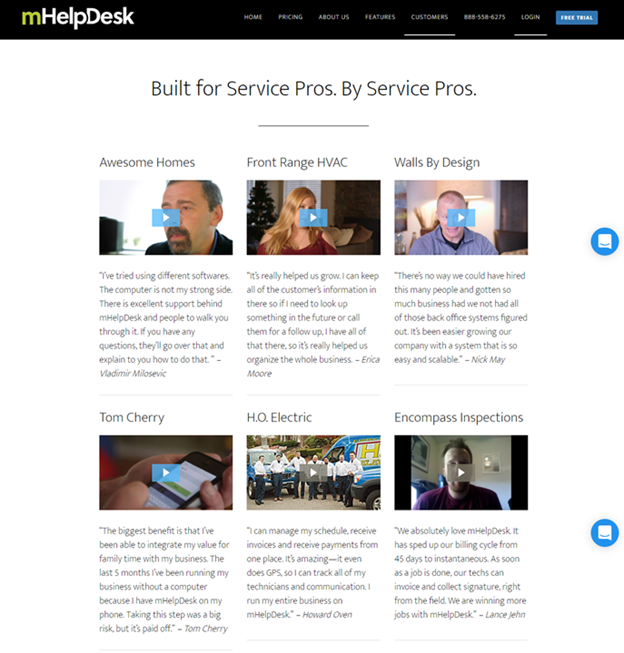 For example, top field service management software, mHelpDesk, has an amazing testimonials page. They have both text and video-based testimonials. And the text covers most of the keywords related to the brand. Your testimonials page is also an indexed page of your website. The content on the page talks about your products, features, and it covers some major keywords. And you can use these keywords to improve your rankings in search results. Product reviews and ratings are another effective way to use UGC to enhance your SEO strategy. Reviews from loyal customers provide your potential customers with useful information. Let’s say a potential customer wants to buy an Apple Laptop from Amazon. As you can see in the screenshot below, customers give ratings in the form of stars. One star being the lowest and five stars being the highest. 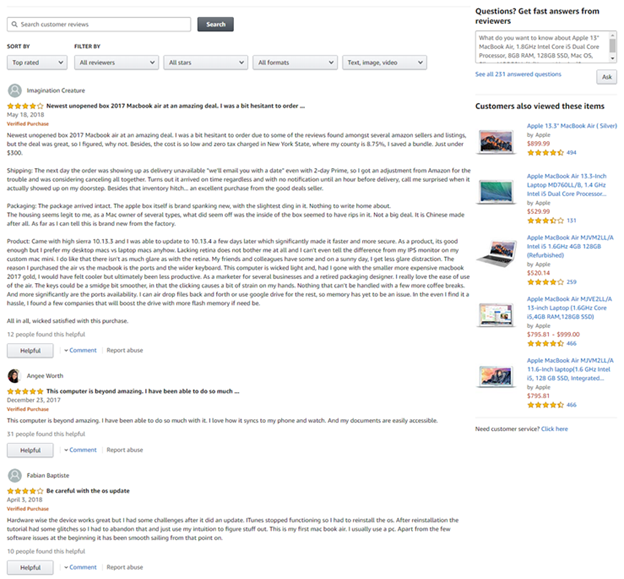 Below that you can see a customer’s review of the product. Prospects can go through the reviews and the ratings given by other customers to help them make a purchase decision. These reviews and ratings are legit text-based UGC on that page. So, when a potential customer searches for your product reviews, these results might show up at the top of SERPs. This is how this form of UGC offers significant benefits to your SEO strategy. Using long-tail keywords is one of the most effective ways to strengthen your SEO strategy. SEO experts realize the immense amount of potential long-tail keywords carry. They can help to generate high-quality and organic traffic to your website and drive high conversion rates. 50% of all search questions on search engines are four words or longer. So, it’s highly recommended that you use long-tail keywords. They have lower competition but can bring in more relevant traffic to your website. Also, users don’t like to use generic words to search anymore. They want a specific answer to their queries, so they prefer to ask very specific questions. Quite often, brands might fail to identify the long-tail keywords consumers use to search for their products online. 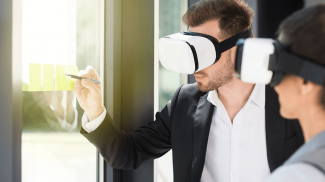 However, the beauty of UGC is that since it is created by users, they might insert those long-tail keywords in their content to describe your products. Let’s say a beauty brand uses a very generic keyword for their product such as “best foundation.” They might face a lot of competition using this keyword and it might not help them achieve top rank on search engines. Instead, if they use specific keywords like “best stick foundation to cover blemishes,” they’ll face less competition. And will also increase their rankings in search results. You can search for these kinds of long-tail keywords in reviews and testimonials from your customers. It will help you to learn the exact problems of your users and what they search for. In this way, you can use your customer feedback to search for relevant long-tail keywords. This will make a difference to your SEO strategy and can improve your search engine rankings. The power of UGC is that any business can use it to grow and expand. 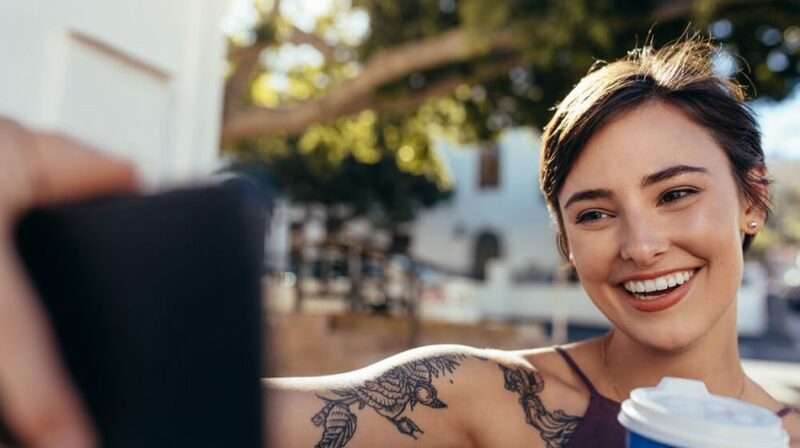 Using user-generated content in the ways mentioned above can offer your brand a variety of benefits. It can also enhance your SEO strategy, generates quality leads, and boosts your lead generation efforts. If you know of any other ways to use UGC to enhance an SEO strategy, please feel free to comment below. Shane Barker is a digital marketing consultant who specializes in sales funnels, targeted traffic, and website conversions. This works because it acts like social proof for your site. For some reason, Google can ow track that.